The Team - Meet the friendly and experienced team at Flow Yoga. Everyone in the team know each other well. We know how we all work and have a huge respect for each other. If we think you need Yoga you will be suggested to give Yoga a go and offered a class that we think would be best for you. If you have an injury or are just not feeling 100% we can direct you to the practitioner that we think will offer you the most support. Our aim is to help you to move better, feel better, live better. In 2010 I set up one of the first yoga studios in Tunbridge Wells, called Pantiles Yoga and have not looked back since! We expanded into Flow five years later, in 2015 and are now able to considerably expand our offering of classes, workshops, courses and retreats to our local community. I am a fully qualified Yoga and Meditation Teacher, having graduated from the Yogacampus Teacher Training 350 hour Diploma course in 2011. 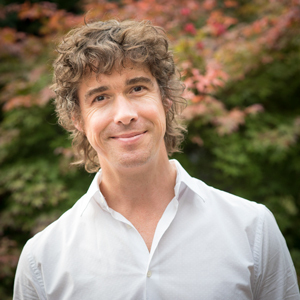 My meditation teacher training was in 2017 when I was taught by Alexander Filmer -Lorch, whom I currently consider my main inspiration and influence. Yoga has been part of my daily life since my University days, in the early 1980’s and I am certain I will never stop learning about it’s myriad of benefits for body, heart, mind and soul. In fact, learning has become one of my main priorities as it is through my yearning for learning that I am able to offer something of authentic meaning to you. 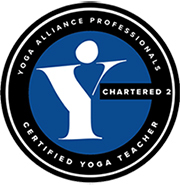 Having taught for 10 years, with over 4,000 hours of teaching experience, I am now registered by Yoga Alliance Professionals as a Senior Yoga Teacher. I co- teach on our own Teacher Training, a 330 hour course running every 2 years called Understanding Yoga. 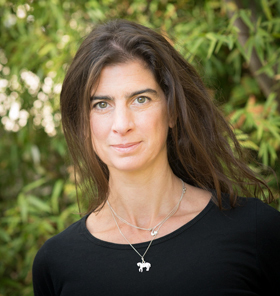 In addition I am a Contact Teacher for the London based Yoga Campus Teacher Training course. 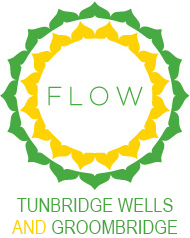 I teach weekly group classes at Flow Tunbridge Wells in Yoga and Meditation and I have a particular passion for teaching privately in a 1-2-1 environment to offer my clients a very tailored and bespoke learning experience. I am insured by and a member of Yoga Alliance Professionals. I live with 4 teenage boys and am immensely grateful for the love and support of my husband, and osteopath, Ben. 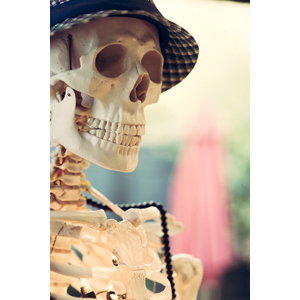 Ben Parker has been a local osteopath for nearly 20 years. He has extensive experience in working with individuals with a wide range of physical complaints. He is particularly interested in helping people to understand the causes of their injuries and how to prevent their recurrence. Ben emphasises the importance of exercise in the process of recovery and understands how Yoga and osteopathy can work in synergy to promote overall well-being. Ben also offers Structural Stability 1-2-1 sessions in the studio. For more information please see Ben’s website. All appointments are held on-site in FLOW or at Groombridge Osteopathy. I was immersed in ballet since the age of 2 and have lived and breathed movement since I can remember. I trained at the Royal Ballet School and completed a 3-year Diploma in Dance at Ballet Rambert. I have been classically trained and fortunate to receive a lifetime of training and mentoring with some wonderful teachers. From a young age I was introduced to meditation, but it wasn’t until later in life, and during my years of dancing that I realized how much I needed to bring a level of balance and harmony into my body and that’s when I discovered yoga. In 2014 I trained with appleyoga and have been teaching open and private classes as well as in the corporate sector for the last 4 years. My learning journey continued and in 2015 I qualified as a Pre and Post Natal Yoga Teacher. I have been inspired by my teachers including, Katy Appleton, Shiva Rea, Nikki Slade and Christopher Tomkins. I am a registered 200-hour yoga teacher with Yoga Alliance Professionals. 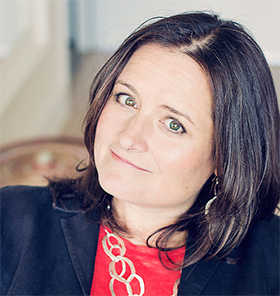 The approach to my teaching is to help you deepen your practice with lightness and grace. Focusing on correct alignment and movement within the body so that freedom can be found with a greater awareness of your own body. Hi I’m Brigid and I teach the pregnancy yoga at Flow. I integrate Active Birth education into the classes and we practice breath techniques and labouring positions so over the weeks it becomes second nature for you. We always finish with a deep relaxation with affirmations for a positive birth experience. I couldn’t wish for a more fulling job, especially when I get the email or text message to hear that a new yoga baby has arrived! I’ve been practicing Yoga for about 20 years, teaching it for over 18 years and helping mums to get ready for birth for the last 16. 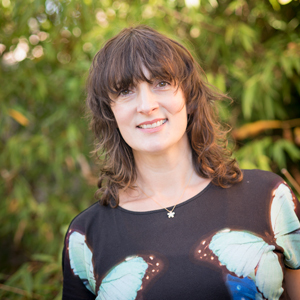 I’m a Senior Yoga Teacher with Yoga Alliance UK. I have the British Wheel of Yoga 500h Diploma. I have both the Birthright Perinatal and Postnatal diplomas. 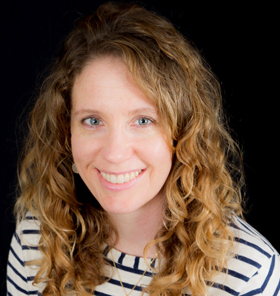 I’m a trained Active Birth Educator (trained by Janet Balaskas), a KG Hypnobirth teacher and a Developmental Baby Massage teacher and I trained to be a doula with Michel Odent. Over the years I’ve come across and learned about pretty much every pregnancy related issue such as carpal tunnel, pelvic girdle pain, symphysis pubis dysfunction, back ache, blood pressure issues, mal-presented babies etc so I will be able to accommodate you if you have any conditions that need special care. For more information please see Brigid’s website. Greta has been practicing yoga for over 15 years, and continues to develop her personal practice with a joyous zeal. It has guided her through sometimes choppy waters including major surgery but ultimately it makes her feel strong, flexible and centred in mind and body; this she passionately transmits in her teaching style. Greta’s classes authentically weave the ancient tradition into a relevant modern practice. Her focus is on re-connecting with innate body/breath wisdom creating a space where each student can truly connect with themselves. Teaching from the breath, Greta artfully guides students to tap into their full potential – to become the very best version of themselves; strong, flexible, graceful and spacious in body/mind/spirit. Embarking on this breath led journey invites freedom and clarity into life an antidote to the demands of modern living – better still, it is open to everyone and anyone. Her classes have a flowing meditative quality with keen attention to foundations and sound alignment. Students should prepare to be challenged and bring with them an openess to enquire and explore their edges. Her classes are warm and welcoming offering a safe, supported atmosphere to grow and refine their practice. Greta trained under Jean Hall and Mimi Quo-Deemer on the internationally acclaimed 2 year Triyoga Teacher Training (390hr) and is BWY (British Wheel of Yoga) accredited. She counts Jeff Phenix, Liz Lark and her philosophy teacher Carlos Pomeda as continual inspiration to her own growth. I first discovered Yoga whilst living in Bondi, Australia in 2005. The local class was run by Sylvie Fernandes from the Bondi Beach Iyengar Yoga Institute. She was a wonderful teacher and I instantly felt very calm in her classes and loved the idea of connecting the physical postures to the breath and mind. I connected to it very quickly and just felt so grounded and peaceful in her classes that I wondered how I have ever not had yoga in my life. After regular visits to her classes I began to feel a positive change in myself. It was such a real and emotional experience I could only describe it as feeling like I had ‘come home’. Yoga practice began to filter out into my daily life. I felt more balanced, connected and spacious in my mind and body. As my practice has continued I have come to realise that Yoga is not only about what you do on your mat but in its broader sense it is actually about life and how we choose to respond to the world around us, which has helped me deal positively with sometimes challenging everyday situations. Creating a safe space on your mat. Being gentle with yourself and promoting self care physically and emotionally. Trusting your own journey and approaching life with positivity and openness. A strong focus on connection to breath and pranayama. Embracing quiet time with yourself and feeling comfortable in stillness. I qualified as a Hatha Yoga Teacher (Independent Yoga Network YRT) in 2008 from the ‘Devon School of Yoga’ where I studied for 2 years on their Teacher Training Foundation Course. The course gave me a complete grounding in all aspects of yoga as well as encouraging my own personal teaching style and growth as a teacher. I have been teaching adult yoga classes in and around London for ten years, I currently teach a Hatha Yoga class nr Sevenoaks. More recently I completed my Teacher Training in Children’s and Teen Yoga with ‘Calm for Kids’ in London. It has been a wonderful journey and I am truly excited to be able to teach and share my love of yoga to children and young adults at Flow. I am accredited with Yoga Alliance (Children’s yoga). 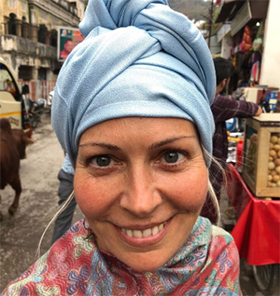 I first met Lucy Parker a few years ago when I started attending her yoga classes She is such a wonderful teacher, I have been truly inspired by her passion for yoga and the open heart with which she welcomes everyone to her classes and looking forward to being part of the Flow team. I’m an Anusara based hatha flow and Yin yoga teacher who incorporates mindfulness into all my classes. I came to yoga and meditation after back surgery and to cope with my old life in banking and consulting in London – and got a lot more than I ever hoped for! I’m passionate about the process of waking up, of encouraging students (and myself!) to develop self awareness, kindliness and playfulness about all aspects of themselves on and off the mat. Anusara hatha yoga has a strong focus on alignment and of the practice coming from the heart, and is a school in the Tantrik tradition. I am continuing my studies into this philosophy with Christopher Hareesh Wallis, and these teachings infuse my approach to yoga, meditation and mindfulness. I was lucky enough to train with the UK’s leading Anusara teacher Bridget Woods Kramer, and I’ve been studying meditation and mindfulness for 9 years under Angus Ford-Robertson, Carlos Pomeda, Alexander Filmer-Lorch and Sally Kempton. I studied Yin yoga with Kirsty Gallagher at Yogahaven in London. I completed my Level One Mindfulness Based Stress Reduction teacher training with the Mindful Academy who support and supervise all my individual and group based mindfulness courses. After many years in a high-stress business environment that does nothing for your health, I decided to take my life in a different direction. My first exposure to reflexology was with a therapist who offered me reflexology instead of a massage. I found that the reflexology was powerful and deeply relaxing and that it helped me to feel more myself. It wasn’t long before I was would choose reflexology over massage. I was trained in the Ingham method of reflexology at the International Institute of Reflexology (IIR) in London, UK and graduated with distinction. I had originally planned to train in other healing therapies but I was so impressed with how my clients responded to reflexology that I decided to specialise in that instead. After receiving my initial reflexology qualification I continued to study Tony Porter’s Advanced Reflexology Techniques (ART) – I found that to be a more powerful and effective technique and loved the fact that it explores the interaction of the meridians and the reflexes in the feet. What I love most about my practice is working with clients to help them to take responsibility for their own health and well being. It is a pleasure to work with clients at significant times of their lives – from illness to wellness, from stressed out to stressed-less, from trying to conceive to pregnancy to childbirth to motherhood. 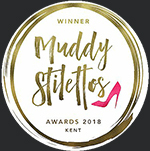 I am originally from Ireland and I recently relocated to Tunbridge Wells after ten years living in the Netherlands where I had small reflexology practice. 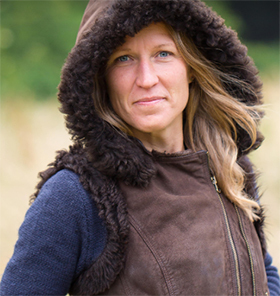 Seasonal Yoga will be led by Swedish Yoga Instructor, Helena Skoog, who was born and raised in the forests of Sweden, who has lived 4 years off-grid in the ancient forestry of Sussex. I have daily personal practice of 18 years, and have been teaching for 10 years, including a 365 day deepening retreat in 2017. Being chosen for a yogic practice in close communication with nature, I can teach of trees and their deep rooted wisdom, to develop a pure enduring and evolving practice, offering continual support, guidance, encouragement and growth. I had been practicing yoga regularly for many years, enjoying it as part of my daily routine. Then one evening I went to my first kundalini class, I knew nothing about it but fell in love with it that very night! It included chanting, meditation, singing (all of which I had a very strong reservation for in the past) and then a kriya (a group of repetitive postures, breath and sound to work on a specific area of the body and or mind). The kriya helps remove blocks, attachments and other negative habits that hold us back in life. I found this very challenging, my mind was saying ‘you can’t do this,stop!’ I blocked out my chatter and carried on and am still carrying on!!! I started to find more classes, workshops and courses. I can’t go on holiday without finding local classes, the language barrier is never a problem. I went to France for a week to immerse myself in kundalini training. There I found Eveil de Soi. It was crazy, it was totally mad but truly brilliant. I laughed more than I ever have in my life, I cried more than I thought possible and I came home strong, renewed and knowing who I truly am! However, this still was not enough; I found myself booking on to a month long teacher training course in India with Gurumukh. What a journey that was – an incredible moment in my life that has shaped who I am today. Kundalini is a lifestyle for me and one I enjoy very much. I have learnt so much about myself – I thought I knew myself, but until I started kundalini I really had never met my true self. I am learning more about myself all the time. I am on another course an 8 month teacher training in Glastonbury. 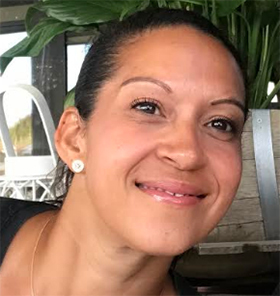 Hi, my name is Melissa, a qualified Sport & Remedial Massage Therapist. I attained my Diploma from the London School of Sports Massage in 2014 and use specialist massage techniques to help treat muscle injuries, soreness and pain, allowing one to move more freely and improve posture. This type of massage is not just for sports people and athletes; it benefits people of all ages and condition, such as individuals who sit at a desk all day, manual workers, pregnant women and new mums! My range of Sports Massage techniques (deep friction, neuromuscular techniques, muscle energy techniques, soft tissue release, positional release and connective tissue massage) also help to prevent injury by monitoring soft tissue and muscle conditions, aid recovery & rehabilitation if injured and increase flexibility and mobility to feel better (especially with age!). I often compliment my Sports Massage treatments with Kinesio Taping and have seen the many benefits of using this additional technique. I am also qualified and experienced in Pregnancy Massage. Since having a baby girl in 2017, I understand and can relate to the many postural changes that take place during pregnancy and the stresses on the body after labour. Massage can help relieve discomfort, promote relaxation and regain muscular balance. Having also suffered from severe headaches in the past, I took the time to study this further and successfully completed an accredited course in Advanced Massage for Headaches. I studied many of the structural causes of headaches and how massage can help alleviate these symptoms by using practical techniques such as soft tissue therapy, cervical articulation, neuromuscular techniques and also specific trigger point release. I come from a sporty background in Australia (experienced pool and open-water swimmer). After a competitive and successful pool swimming career I went on to enjoy success at national level in surf-lifesaving and at international level in outrigging. I then found a niche in open-water swimming and competed in marathon swim events, globally. Due to past and present experiences as an athlete, I fully understand many injuries that I currently treat, having personally suffered from most of them in the past! These experiences have given me a unique insight into the best methods of massage treatment and to feel first-hand the benefit of regular massage to enhance performance and quality of life! I look forward to meeting you soon and if you have any questions, please drop me a line! Zebedy has been part of the Team since 2012 and has a clear specialism in anatomy. Without Zebedy many of us would be lost as he is our light to guide the way towards structural anatomical understanding. Aided by Zebedy we can all practice safely with clear and informed alignment. Thanks Zebedy!